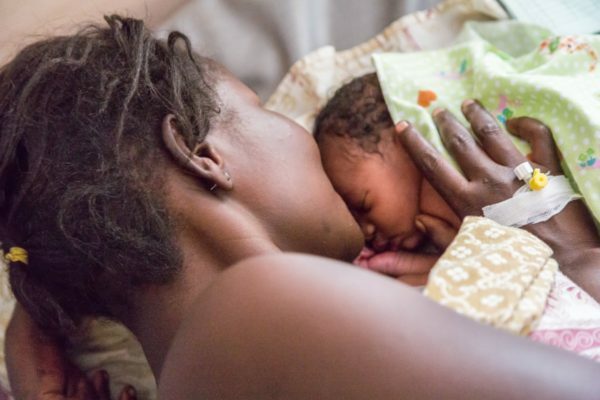 South Sudan has one of the highest maternal mortality rates in the world, with almost 800 deaths for every 100,000 live births. Given the instability in the country, health services are almost non-existent and women and children are among the most vulnerable. Pregnant women regularly have to wait a whole day in the searing heat in the hope of being seen by a doctor. 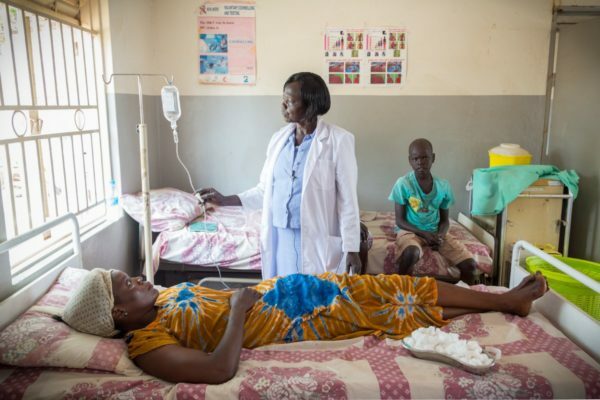 Munuki Clinic is one of the oldest health facilities in Juba. The Health Pooled Fund (HPF) is a multi-donor initiative supporting over a 1,000 healthcare facilities across the country. Parents can now access vital check ups and medicines from pregnancy through the early years of their children’s lives. Over the last year more than 500,000 expectant mothers have been seen for antenatal check-ups at health centres. “This my first child. I had a midwife next to me. She was very good, very kind. She’s there as a mother for you. Labour is not easy. It is too painful. But they gave me the suggestion I should have a drip and now I am fine, I am very well”. A clinical officer before examining a patient for malaria. Through training and the establishment of health committees made up of health professionals and patients, communities feel empowered to take charge of their own health. Boxes of medical supplies at the Health Pooled Fund warehouse in Juba, ready to be distributed to the states. 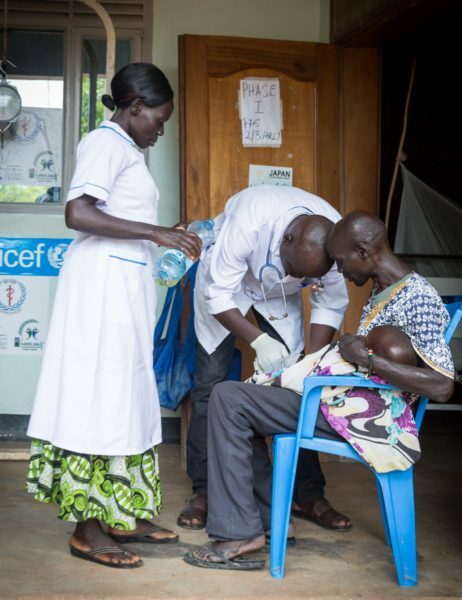 HPF continues to support primary healthcare centres across South Sudan, helping deliver safer outcomes for mothers and children. The Health Pooled Fund (HPF) is a consortium led by Crown Agents, in partnership with the Ministry of Health, South Sudan, with funding from DFID, USAID, EU, Canada and SIDA. Find out more about HPF here.